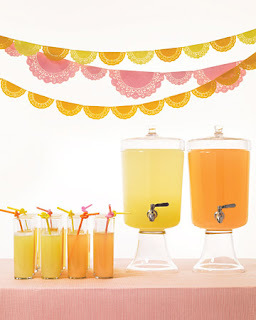 I am 100% in love with drink dispensers and I have been for a few months [ever since I saw it in martha stewart weddings]. i was on the pottery barn website today and came across another gorgeous one and that of course sent me on a hunt for more! read on to see what i found. above is the original cuteness i saw in martha's magazine. how amazing would this be at a childrens party or backyard bbq or wedding! they are made by roost. here is the one from pottery barn. it's on sale! 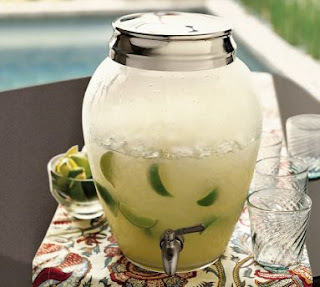 i love how it looks with lemonade in it with pieces of lemon floating around. this is from vivaterra. i like the country feel of it. they don't seem to have any available, but a quick search led me to some similar ones. 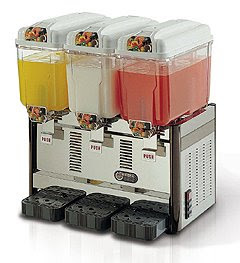 have you used a drink dispenser at a party before? what kind did you use? the beer tasting party is really about the beer. the food will be minimal, just simple snacks that compliment the taste excursion you are taking your guests on with the beer. read on for some suggestions. many people don't think of beer and cheese as complementary when in fact they go very well together. depending on the beer you are serving at your party [something we will get to in a later post] you can choose a variety of cheeses to match. Of course this is just an introductory list. 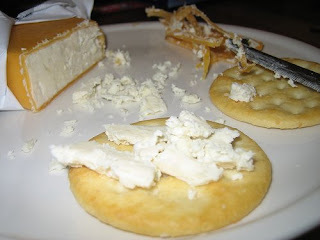 to read more about beer and cheese pairings, click here. try something a little heartier if you suspect your crowd will be hungry. a nice stew or chili, smoked sausages, meatballs or shepard's pie. some people just aren't into having anything but wings or pretzels with their beer... which is fine! some great salty snacks that you can serve at your party include pork skins, cashews, pickled eggs, nachos, ham & cheese empanadas, hard pretzel sticks, chips, popcorn. set them in bowls around your tasting/party area and just let your guests go at them. you could also try making a few easy flatbread pizzas to have set around. 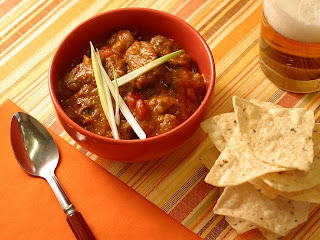 this recipe from Bobby Flay might do the trick for your guests. something else you might want to prepare for your guests is Cucumber kimchi (oisobagi kimchi). check out this video to see how to prepare it. no matter what you select as your food for your party [traditional snacks, cheeses or full entrées] remember that the focus of your party is on the beer! your food should naturally guide your guests from sample to sample and not overtake the flavours of the beer you are serving.